Great. I can feel the images. I love this. It was exactly what I needed this morning. Thank you. I can feel the chill in the air. Yes it is crazy warm here, to much of a good thing is bad also. Good tidings to you and your loved ones my friend. Have great week ahead of you. This is how I would describe: fragile, if my words could be seen as pictures. Once again, delightful. May you continue your continuance into the forevers. Brrr…but it’s like that here now too. Have a great week Hedy. Cheers!!! Love these images! So beautiful. 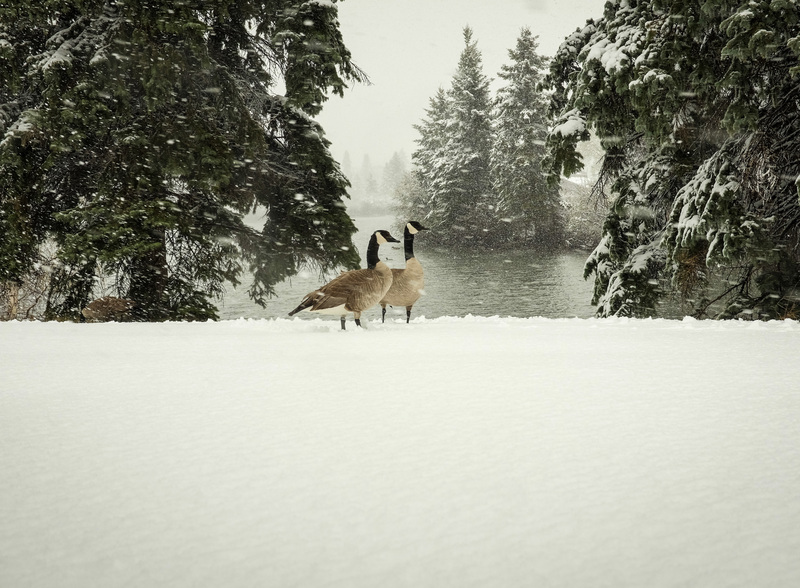 Even though the subjects are dormant and/or dead they seem to bring an element of warmth to the snowy environment. Well done. Lovely, centered images! So fresh and full of life, even in its frozen state. Thank you, Hedy! The micro trend at that time and place was Hedy and the doggies in the fresh, fresh snow…what more did you need? Remaining calm no matter where you are or what is happening around you is indeed a conquest that is not so much what is going on ‘outside’ but ‘inside’ of you that matters. Beautiful photos freezing the mind still to examine a moment in time that belongs to no other. Peace and beauty be yours dear Hedy. The second photo is magical.